MARIE THOMAS: Owner, Cosmetology Instructor, BBA UT Austin, Eyelash and LashDip* Certified. Marie opened Studio 1826 on Friday, August 13th, 2004. A very Lucky Day! After a career of teaching, managing, traveling, stage & sales, owning and working in Salons and the Industry for a while, she settled in the little Log Cabin. Marie specializes in Coloring, Cutting and Taming – Curly; Long; Grey, Frizzy, Thick or Thin, Fine to Coarse Hair, Man or Woman, Also Waxing (about everything/ well – almost everything) & MicroDerm Facials. Marie, Doug & Collton live in Goldenwood, just up the road, with their two Dogs, 1 Cat, 3 Snakes and the intriguing wildlife that surrounds this area. She enjoys her family and friends and being outdoors. Walking, Camping, Bicycling, Boating, Swimming the joy of being in the Austin area and the many wonderful activities and sights it has to offer. Marie is extremely proud to have such a great, positive, caring, talented and responsible staff and co-workers. Brandy has been doing awesome Colors, Cuts and Styling on every sort of hair, here at STUDIO 1826 since 2009. 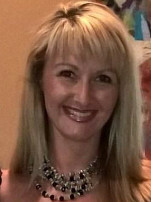 She has over 15 years experience joined us after working in Arizona and was actually flying back to do customers before landing at STUDIO 1826. Brandy specializes in Highlighting and Coloring, Design of and Cutting Hair, then bringing it all together with beautiful Styling. Ladies, Men, Children; Curly Hair; All Textures and Thicknesses ; with great Consultation and Care. Brandy lives in Sunset Canyon with husband Brian, & Girls; Bryce and Brynne, & numerous family animals. They keep very active with friends and family, volleyball, dance, cheer, boating, swimming, school, traveling, visiting and having fun are just a few ways they are enjoying this Austin Southwest Area and Dripping Springs. Brandy will great you with a big smile, really listen to you, and help you to look your best with ease. Kathleen is an Eyelash extension Specialist with over 5 years of full time experience as an Eyelash technician in Dripping Springs and Wimberley. 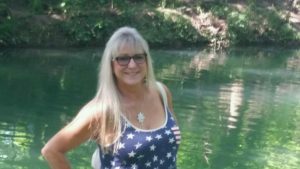 Formerly from Boston, she has lived in the great state of Texas now for 26 years, and built a home in the beautiful Hill Country last year. 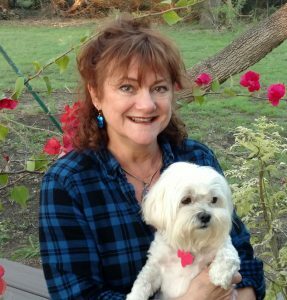 A graduate of the Ann Webb Esthetician School, Kathleen came from a food and beverage background, and worked in wine and spirits sales, and as a personal chef in the DFW area for over 20 years. In her spare time she enjoys dining out, visiting local vineyards, gardening, and cooking .